As we reflect on the end of another successful year, we’d like to thank our customers for their support and loyalty in 2017. We look forward to continuing to earn your trust in 2018 and beyond. This year begins with some exciting news. On January 1, 2018, Compressors aiR Us Inc. officially became CRU AIR + GAS. 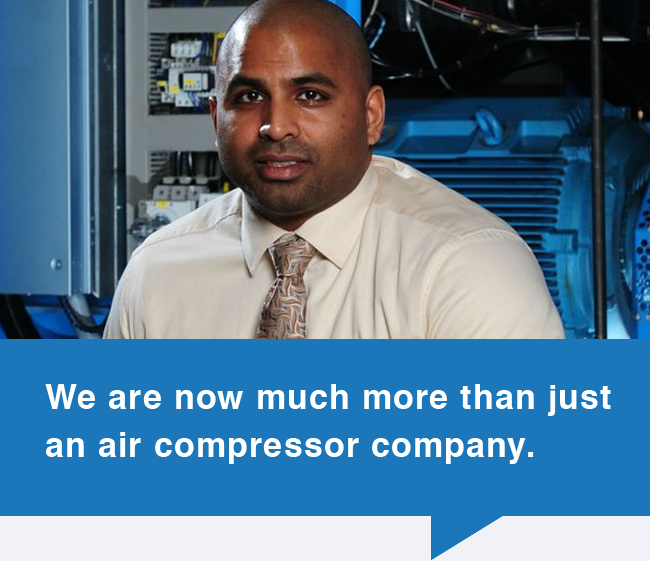 The reason for this brand change is simple: with one of the most diverse product lines in the North American compressed air market, we are no longer just an air compressor company. Our product offerings now include natural gas and steam powered oil free air compressors, clean and dirty gas compressors, nitrogen and oxygen onsite gas generators and Smart Air Separation Plants that produce liquid oxygen, nitrogen and argon. Our name change reflects this evolution. In addition to the name change, we have developed a new tagline based on customer feedback. We asked customers like you why you do business with us and your feedback was clear: we’re always there when you need us, and we always strive for maximum energy efficiency. As our business continues to adapt to this ever-changing market, rest assured that CRU AIR + GAS will continue to provide efficiency you can count on. When you need us – we’ll be there; day or night, weekday or holiday. You can expect the same responsive service and innovative spirit you have always relied on. With our new products and services, we are now positioned to help you take your business to new heights.